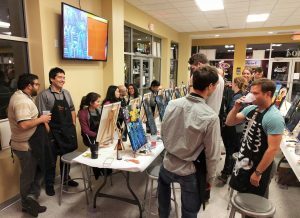 The Partners Club and Part-Time GBA had a ball of a time at Painting With a Twist in East Liberty last night. 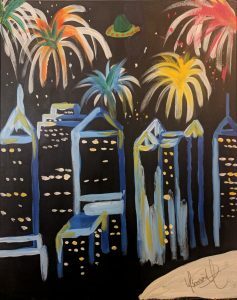 We painted “Light Up Night Pittsburgh” with the beautiful downtown skyline set against a background of fireworks. While there were serious moments of concentration when we were trying to draw outlines of buildings, there were also many adventurous moments with people adding unique elements to their individual paintings from the Fort Duquesne Bridge to Christmas trees (there were even rumors of UFO sightings on paintings). 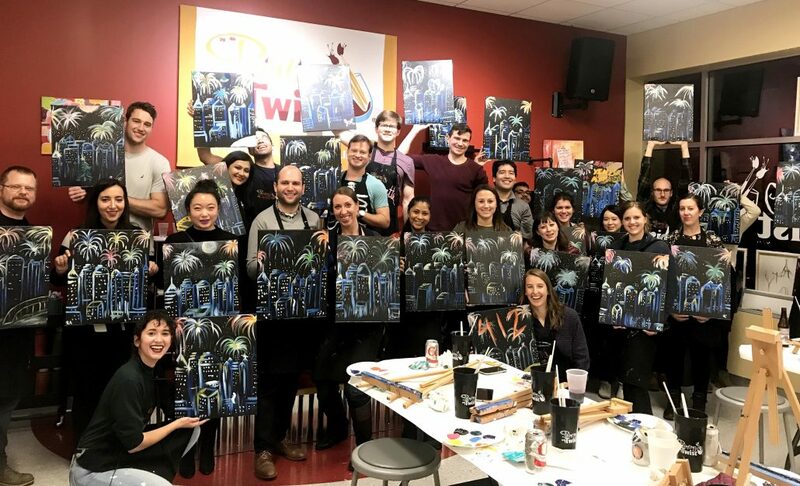 Some fireworks ended up looking more like spiders but hey – that’s a form of art too! A huge shout out to the wonderful local artist leading our class, Megan. She was patient and witty and kept us all motivated. 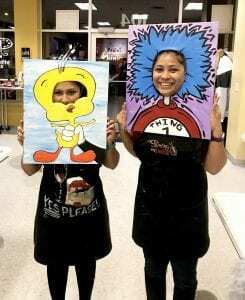 While the paint was drying up on our canvases, Megan played a couple of fun games with the group and the winners received free paintings from Painting With a Twist, which was a wonderful surprise. All in all, it was a well-spent Saturday evening! Born and bred in Karachi, Pakistan, Faaria moved to the U.S. with her husband when he decided to pursue his MBA from Tepper.Since the move, she has transitioned from working as a finance manager for a multinational company to a home-maker. Faaria's passions and hobbies include being a makeup enthusiast, a newbie photographer, and a foodie at heart. Tartan Student Fund Hands-on Tableau Workshop!